Situated close to the seaside town of Whitianga New Zealand, 970 Lonely Bay Lodge offers three beautifully presented one-bedroom suites and a premier two-bedroom ‘honeymoon’ suite. 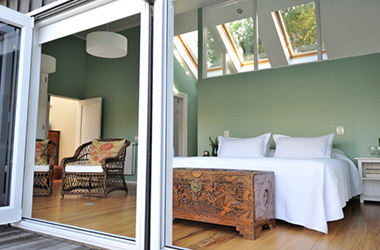 Each suite offers a spacious bedroom with a king size bed, fine linens, an ensuite bathroom with luxury toiletries, and an outdoor terrace with views of lush native bush or overlooking Purangi Estuary and Cooks Beach. 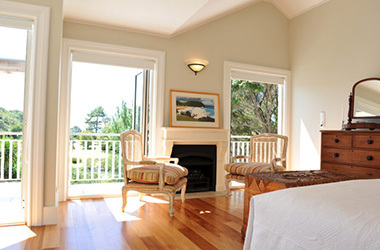 Come and relax in The Estuary Terrace Suite which is our premier 'honeymoon' suite. 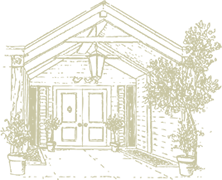 The light-filled, Atrium Suite is on the ground floor - a wheelchair-friendly luxury suite accommodation. 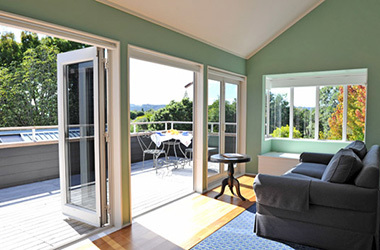 Nestled in bush, the first floor Shakespeare Suite has wide bi-fold doors opening to generous decking. 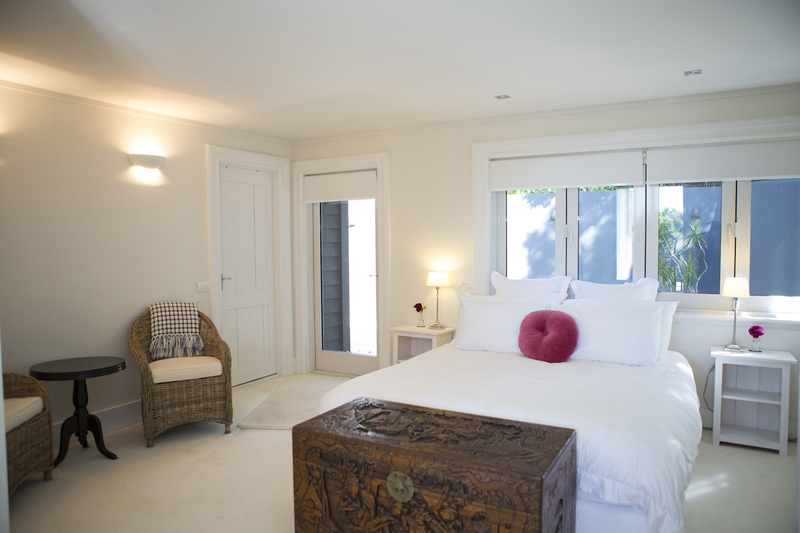 The first floor Purangi Suite, an ultra spacious bedroom with wide bi-fold doors opening out to private deck.